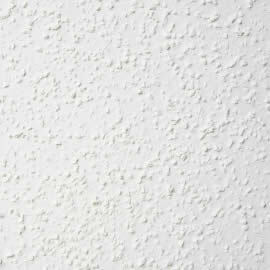 Drywall texturing can be done on walls or ceilings. Since ceilings are the most exposed part of a room, they are the ones that usually receive the drywall texturing first. Texturing of the ceiling helps cover up any taping defects that may be made more noticeable with the reflection of light. 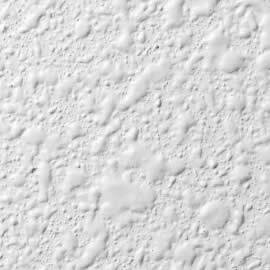 One of the most common texture techniques used on ceilings is called “knockdown”. To do this type of drywall texturing you need to have a sprayer to splatter a thin layer of the plastering compound onto the ceiling. Then you flatten it out using a wide taping knife. Another way to apply drywall texture to a ceiling is to mix the compound, paint and aggregate and spray it onto the ceiling. This mixture doesn't need to be flattened out and the effect is that of pebbles on the ceiling. You can also choose to roll or swirl the mixture on for an even different drywall texturing effect. For areas of the home where there is likely to be a lot of moisture, it is best to leave the ceiling smooth and sanded. This makes it easier to wipe off. Regular plastering rather than drywall texturing techniques are better in these rooms. There are different tools to apply texture to walls. You can roll on the compound over the whole wall with a paint roller or especially for large areas and overhead like ceilings, you can use a drywall texture spray gun. After you apply drywall texture to the walls, there are several techniques you can use to enhance the look of the wall. You can put small pieces of mirror glass all over the wall, use a broad plastering knife to have smooth places interspersed with rough places. You can have the same effect on the walls as you do on the ceilings – pebble effect, using a sponge to make swirls, even using a comb to make half or full circle designs. Whatever your choice, make sure that the drywall texture pattern you choose is one you really want. Taking off drywall is just as tedious as putting it on and just as messy. However, a lot of family fun can be had if everyone chips in to help with the drywall texturing.